A few years ago when talking with a Brit friend I learned that the UK’s equivalent of our IRS, known as the Inland Revenue, filled out his tax returns automatically without even asking his permission. Wow, I thought, this is socialism to the extreme! But when you think about it for a second, perhaps it’s not so bad at all. This article in the NY Times by Randall Stross explains why, we in the US could learn something from other countries. Things have gotten so so out of hand, tax professionals actually recommend that if incorrect information has been submitted about you by an employer or broker that you actually duplicate that wrong information on your return, and then attach an amended return to fix the problem! So an obvious (after I read Stross’ article) solution is for the IRS to just send me the 1040 and let me make any necessary corrections. It would also be really nice if at the bottom of the letter they added a “Thank You”. Stross doesn’t mention that in previous years one big hole in this plan was that the IRS didn’t have data on your (our) capital gains from individual stock sales. 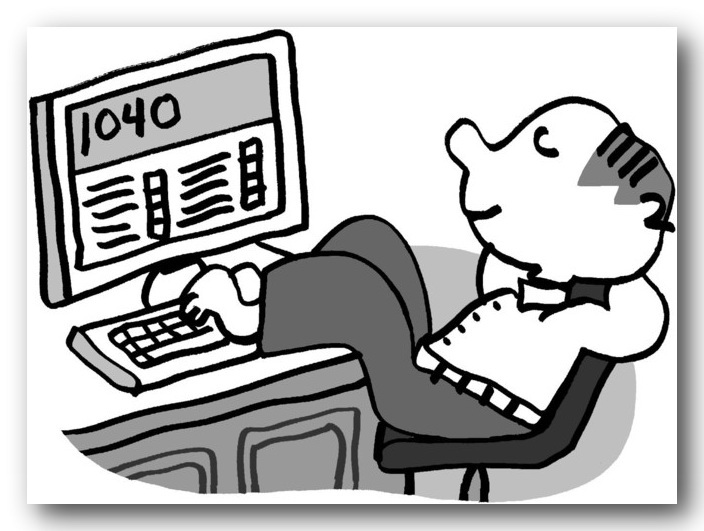 But starting this year with new tax laws, this will all be reported by your broker along with interest and dividends. I was even more surprised to learn that California already has a pilot program, called ReadyReturn, testing this exact proposal. And guess what; 99% of the folks who enrolled in the test reported they would use it again! And we thought big government was all we needed to worry about. The other thing the Brits have over us is the name of the appropriate authority. Beginning in 2005 Inland Revenue became a department within Her Majesty’s Revenue and Customs. It has a certain ring to it, even though they are still popularly referred to as “the Tax Man”.